If you are looking for an excellent alternative to the default WordPress commenting system, the feature-rich Disqus Comment System comes to your rescue. It makes your page load faster : Instead of loading your comments from your database, Disqus waits until the page is loaded and then load the comments asynchronously. Readers can connect using a Disqus account or using social media like Facebook, Twitter, Google+ and a few others. Users can upload and share images in comments. 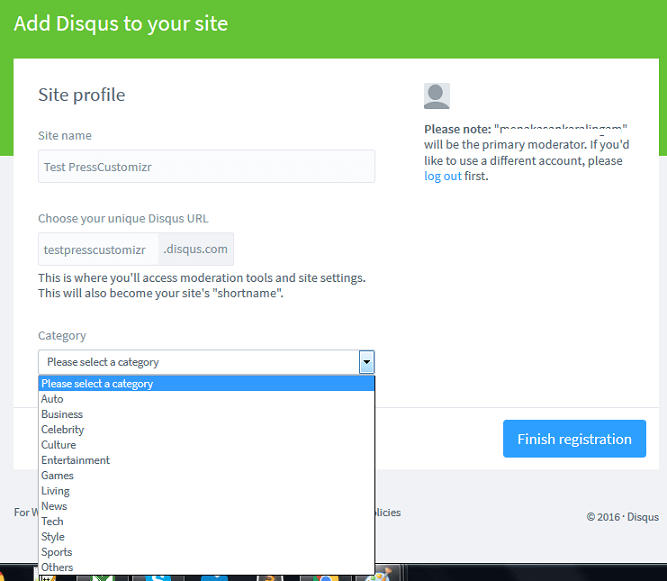 So, how do you enable Disqus for your site? Installation of the plugin is as usual. Login into your WordPress site as admin. From the dashboard, click on Plugins> Add New. Type disqus in the search box and from the results click on Install Now next to the Disqus Comment System. After installation, activate the plugin. 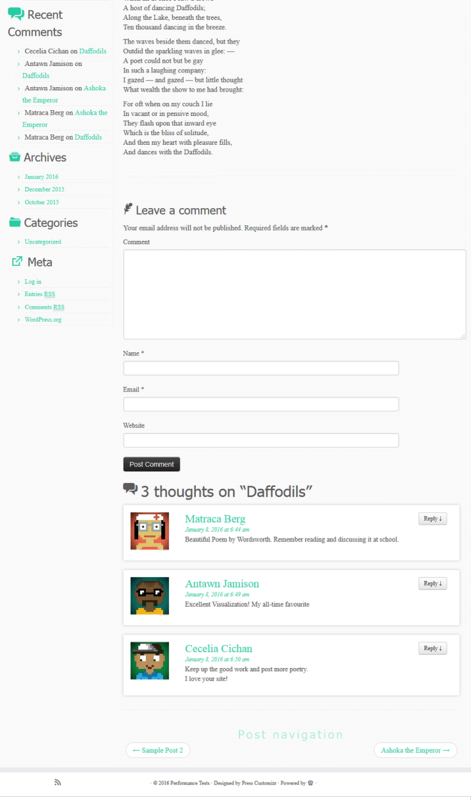 To configure the system, click on Comments->Disqus from the WordPress admin dashboard. From the screen asking your to upgrade, click on the Upgrade button. Here you get a screen Install Disqus Comments. This is used to connect your site to a Disqus profile. At this log into Disqus if you already have a profile. If not click on don't have a Disqus Profile yet? to register for one. Sign up for a Disqus profile. 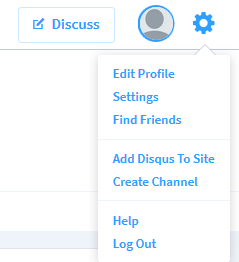 After signing up for a Disqus profile and logging into the account, go to the top right gear icon and click on Add Disqus to Site. This redirects you to the Engage site and the below screen appears. The Disqus commenting and community platform is Engage. Click on the Start Using Engage button at the bottom of the page. Add Disqus to your site by giving the following details. Site name: Any site name. Choose your unique Disqus URL: Try giving a short name for your site. Disqus will verify its availability and prompt you to choose a different name if it is not available. Category: From the drop down, choose the category of your site. Several options like Auto, Business, Culture, News and Sports are available. Now that you have created a site on Disqus, return to your WordPress admin dashboard to continue with the configuration. In the Install Disqus Comments screen, login with your Disqus credentials. Choose the site which you just added and click on Next. Click on Continue to the moderation dashboard and then on Go to Disqus Moderation on the next screen to see the existing state of comments for your site. 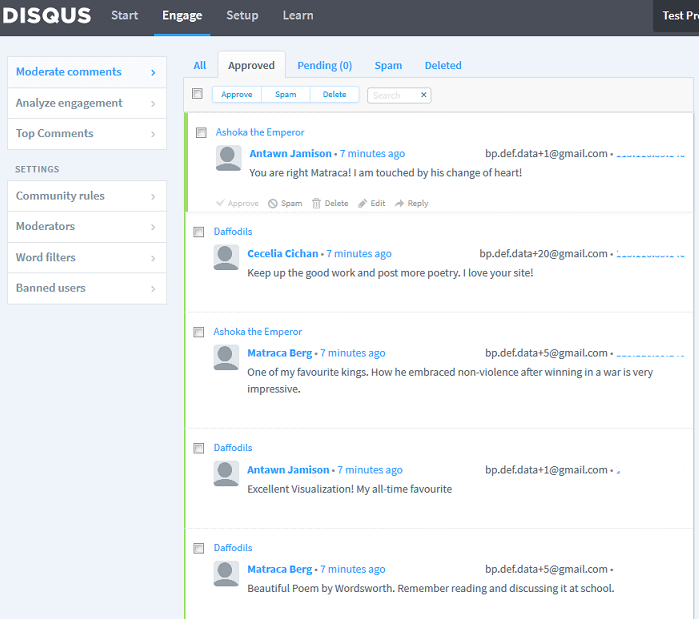 You will be taken to the Disqus Moderation dashboard for your site. As of now, there are no comments here. By default, the Disqus Comments on WordPress will be disabled. Enable Disqus comments by clicking on Comments->Disqus from the WordPress dashboard and then clicking Plugin Settings on the top right. Click the Enable button to activate Disqus Comment on WordPress site. After enabling you can change other settings too if you so wish. There are some very basic options like the forum shortname and where the Disqus comments should be used, as well as advanced ones. Towards the end of the Settings screen, under the Import and Export section, click on Export comments to Disqus to export the existing WordPress comments to Disqus. You may have to wait for a few seconds to a few hours depending on the number of comments in your site. After the export is completed, click on See the status of your import at Disqus. This takes you to the moderation dashboard again. From this point, you can moderate your site's comments from here. Your site looked like this before the Disqus Comments. 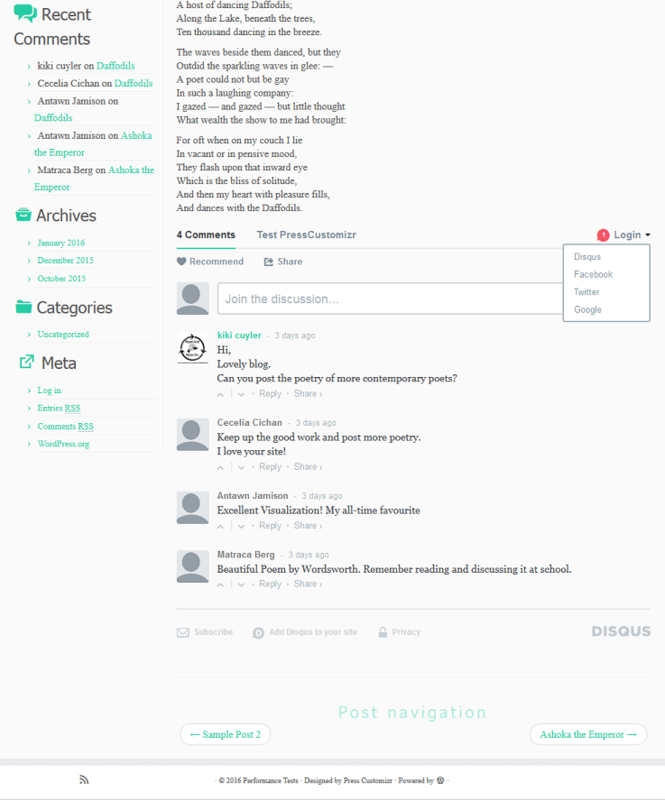 Now, with Disqus commenting system enabled, it looks like this. So, which one do you prefer? Go ahead and install Disqus commenting system and watch the discussions happen between readers logging in through various social media.